Possibly from as early as 2,500 BC Padstow has been used as a natural harbour linking Brittany to Ireland along the ‘Saints Way’ from Fowey. Legend has it that St Petroc possibly one of the most important of the Cornish Saints arrived from Ireland around 520 AD and built a monastery on the hill above the harbour. The harbour developed in the Middle Ages as a trading port for copper, tin and lead ores, slate, pilchards and agricultural produce. Welsh coal was imported by sea along with timber and fish salt. 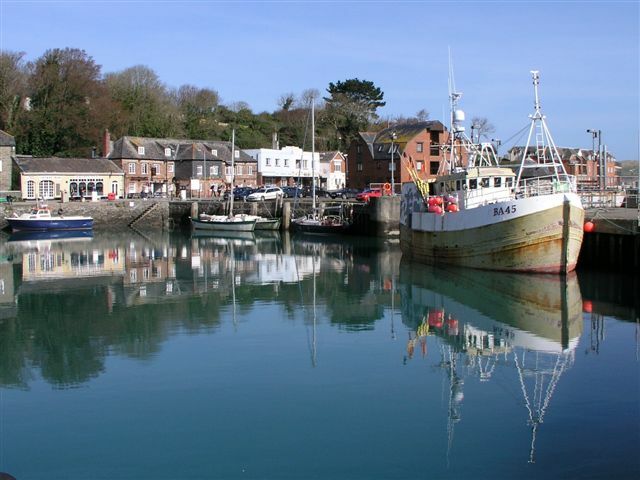 Padstow has always been an important community because of its position as the only sizeable estuary on the North Coast of Cornwall. The foundation of the monastery by St. Petroc in the sixth century finalised its site and the monks acquired land from Portreath to Tintagel. In medieval times the port grew and trade with Ireland and Brittany developed as well as coastal trade with South Wales. The Port had a thriving fishing industry and by the nineteenth century there were six shipyards. During the years when emigration from Cornwall was at its height, Padstow was the centre from where many people left to start a new life in the Americas and Canada. In the 1880s shipbuilding declined because wooden ships were replaced by iron ones but the town was fortunate that by the end of the nineteenth century east coast trawlers made Padstow the centre of their winter fishing. The coming of the railway in 1899 gave a big impetus to the tourist trade, which had begun a century before. Trevone Bay grew from the 1890s onwards as a tourist centre. The twentieth century saw tourism become Padstow’s main industry. Through all its long history, Padstow has been a tightly knit community with a tremendous sense of belonging. The people of Padstow have justly been proud of its long history and important customs. Padstow May Day is well known nationally and internationally. The carols sung at Christmas in the streets and Padstow Mummers Day form part of its living tradition. The first stone pier was built in the 16th century and the inner harbour wall was built in 1989. 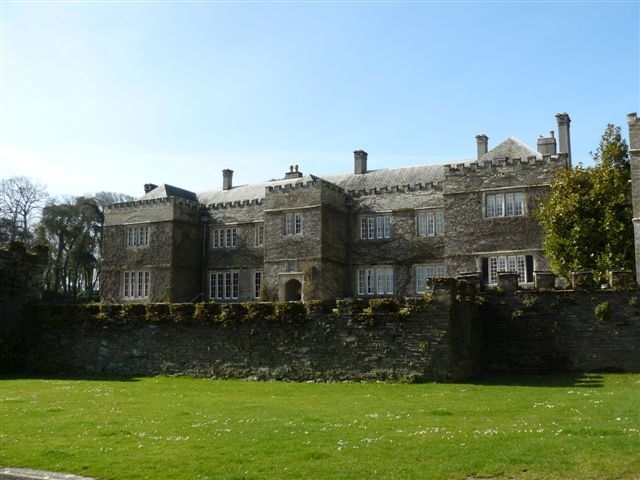 The old town has retained much of its medieval and Elizabethan character and has 104 listed buildings of which St Petroc’s Church, Prideaux Place and Abbey House are the most significant. Padstow rests in a deep valley protected from the prevailing winds of the Atlantic Ocean sheltered by a semi circle of elms protecting the top of the town that was built around the inlet on the west side of the Camel estuary.